Ok, I realize that writing about Specialty’s in San Francisco is kinda like writing about a Seven Eleven in a lesser city. That’s an exaggeration. But still, Specialty’s is sort of the San Francisco version of your average bakery and deli. There are a handful of them scattered around downtown, a few elsewhere in the bay area, and a few out of state. But I write about them because I find them to be utterly amazing. It’s called the Mediterranean. (Try spelling that without spell check. I dare you.) 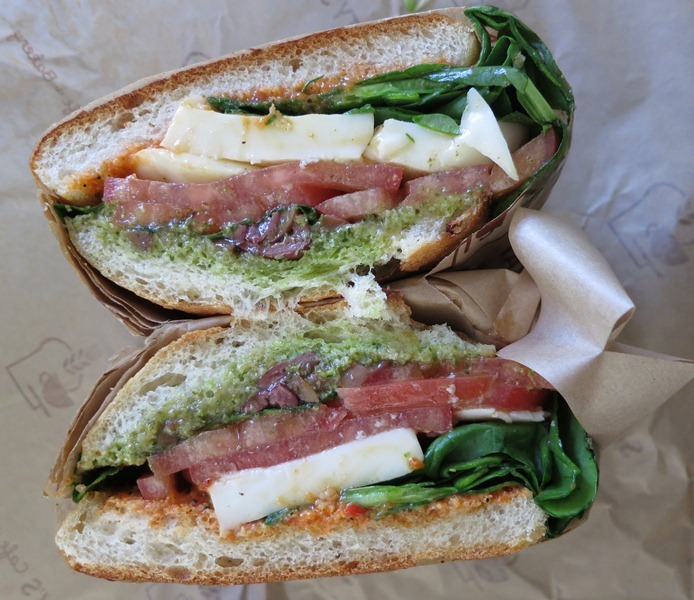 The Mediterranean: Fresh mozzarella with kalamata olives, spinach, tomato, basil, red pepper pesto, basil pesto and balsamic vinaigrette on toasted thyme focaccia. Two types of pesto! Olives! And fine, I’m all snooty about it and I swap out the focaccia for ciabatta. Which is so easy to do with their online ordering system whereby I choose what I want (and sub in/out any ingredients!) and then go pick it up at the store 15 minutes later. It’s amazing…. 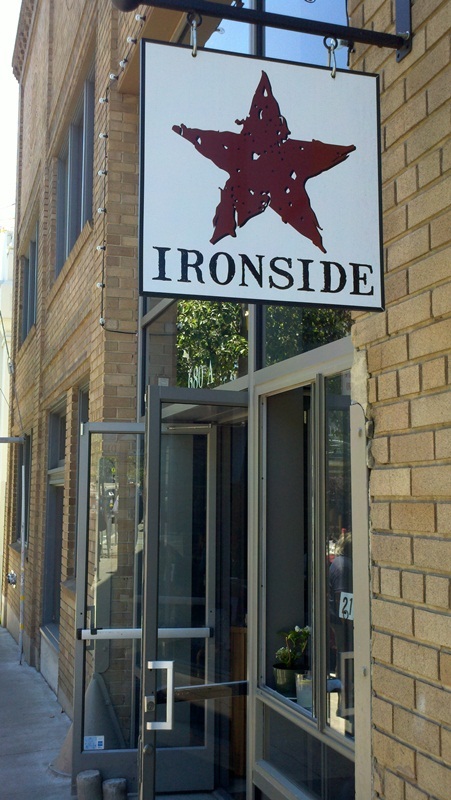 Ironside is a hip little restaurant on Second Street between Townsend and Brannan in San Francisco. 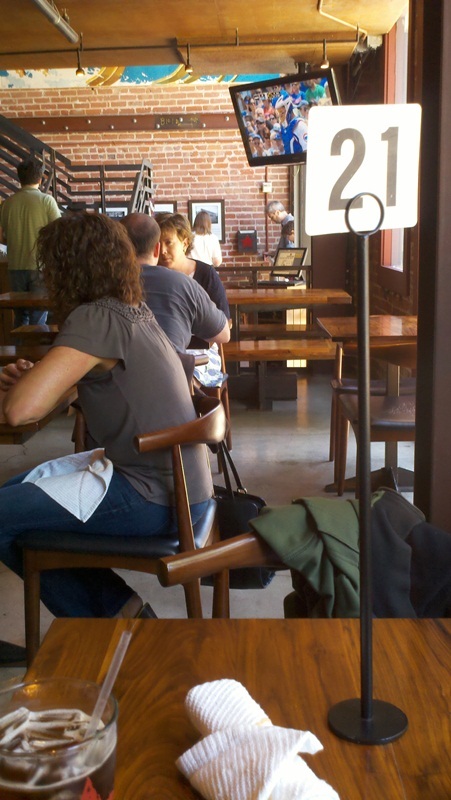 It’s one of the (great many) places that makes SF what it is in terms of food and ambiance. The decor is a sort of modern wild-west: heavy timber framing (the stairway landing is a 4′ cube of solid wood pieces!) and steel connectors and accents fit in with the polished concrete floors and steel-railed mezzanine. 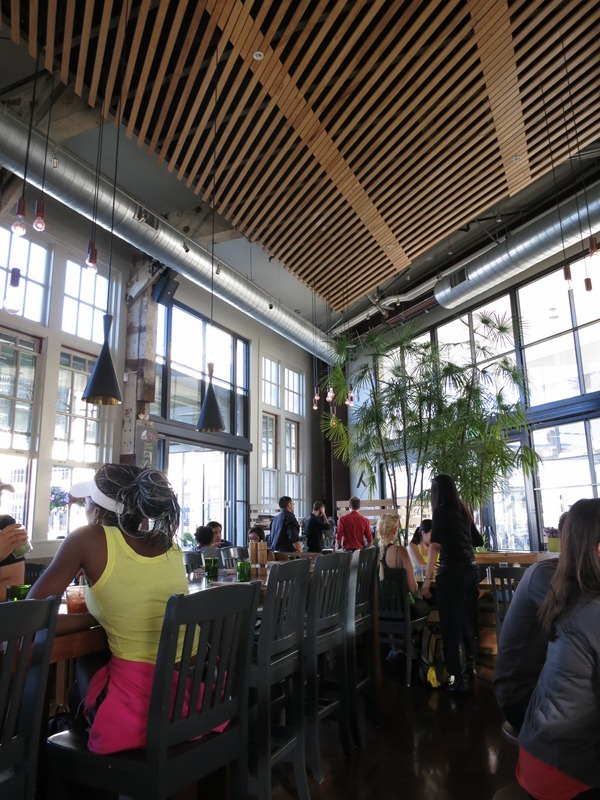 Like other top SF restaurants, it looks great. 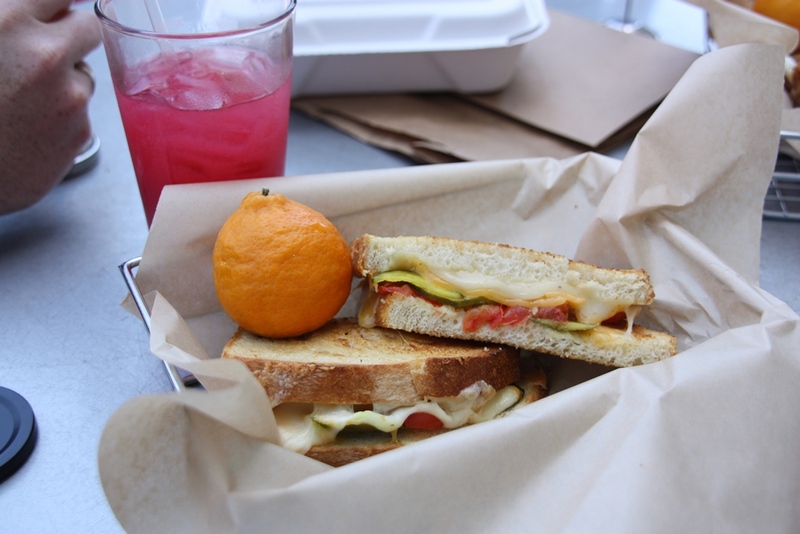 The order-at-the counter style adds a bit of casual-ness to your lunch (though they are also open for dinner, and brunch on the weekends), and the paper menu has lots of tasty things to choose from. 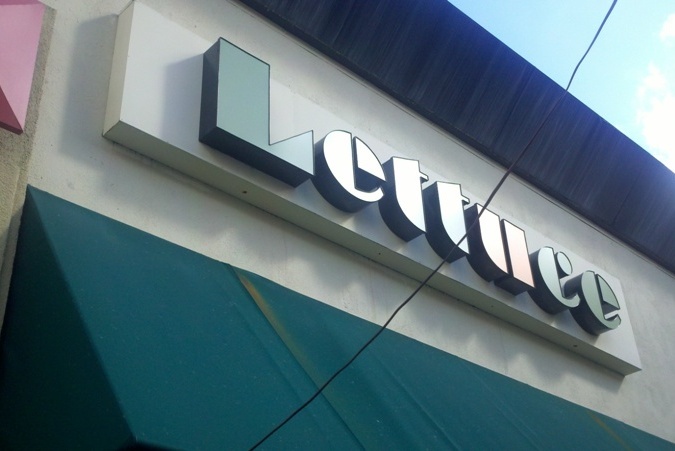 The list itself is nothing particularly fancy: soups, salads, pizzas, and sandwiches; but the execution is key.